To connect with Sendible, sign up for Facebook today. 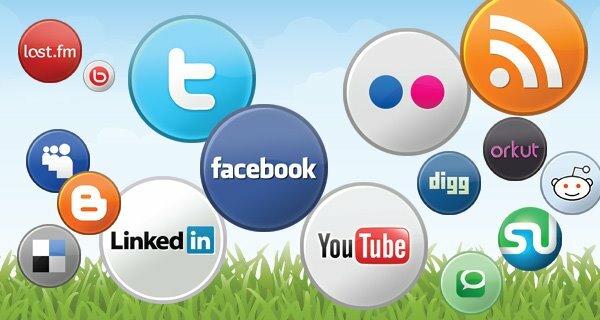 Sendible.com - a social media management platform for engaging with customers across multiple social media channels at any time. Now that Hootsuite enables posting to Google Plus when will this be added to Sendible? Cool Infographic about Social Media Relationships how Facebook and Social Media networks have impacted Relationships today. U.K. sports fans will get 24 live streams of the action once the Olympic Games unfold in London this weekend. The BBC is relying on Adobe to deliver these streams, and the company is using it as a big test case for its new Project Primetime. On Tuesday, Apple CEO Tim Cook declared that the adoption of the iPad by educational institutions was "unlike anything I've seen in technology." It's not just a cheaper iPad 2 that's driving record K-12 iPad sales, but Apple's total education apps package. While Mountain Lion is clearly evolutionary, I've found it does a lot of little things to make life easier. Here are five short tips that will help you get the most out of the latest version of OS X. Follow these seven tips How To Create an Effective Social Media Strategy for your brand. Each brand should come up with a unique strategy in order to achieve its competitive edge. ALi Tan Mohlizam and Mark Sorensen like this. Apple has long benefited from the relentless rumor machine that constantly speculates about new products it has coming up. This arrangement has long benefited the company, but it is, by its own admission, now hurting its sales. Muhammad Ridho Ar-raHman likes this. Sophie Toumia Gentet likes this. Want to know about WordPress? Three useful Infographics and a cool video featuring lots of interesting facts and figures from the world's favourite CMS software. Raquel Violeta Robles Araya and Muhammad Ridho Ar-raHman like this.